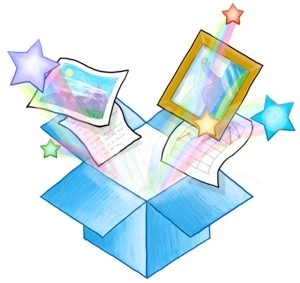 Well-recognized cloud storage outfit Dropbox is aiming to go public during the second half of 2013, or so unnamed sources "briefed on the talks" believe. Dropbox hopes to launch a new range of business-focused products alongside introducing itself as a publicly traded company. Of course, Internet-based tech IPOs have a markedly spotty track record. Zynga and Facebook are great examples of highly recognizable brands who've endured rocky residences on Wall Street. Dropbox's "very big focus" on enterprise users will be a likely necessity for the company to survive as a public company in the dog-eat-dog world of public trading. Amongst the additions for business-oriented Dropboxers will be a new set of management tools for handling accounts and related various features -- a potentially helpful set of features for IT administrators. Dropbox says it is basing these tools on user feedback, which have suggested it focus on two primary features: visibility and control. Some of the examples given are admins will be able manage billing, licenses and enforce two-factor authentication. The San Francisco-based company's new-found focus on businesses serves to set Dropbox apart from other cloud-storage outfits -- a highly saturated service market filled with a myriad of alternatives from well-funded companies like Box, Google Drive, Microsoft SkyDrive, Bitcasa and more. Internet storage competitor Box has also indicated its plans to go public, but probably won't until 2014. Box has long-been a business-oriented provider of cloud-based storage and may prove to be a staunch competitor in the struggle to lure companies into its offerings.